A new factory was officially opened on the Vivian St site on 30 September 1925. Evening Post advertisement, 30 September, 1925. By October 1925, free delivery was being offered within the city area, and Mousse was included in the company's product range. Eskimo Pies sold for 3d, and in 1927, the company claimed they sold 420,000 of them that year, as well as 60,00 gallons of Frosty Jack Ice Cream. Frosty Jack ice cream was made of "Cream, Milk, Sugar, Flavour, and less than 1/2 per cent, of Gelatine". Cream and milk came from the Municipal Milk Department. Auckland Star report, 16 February, 1926. It sounds almost incredible, but nevertheless it is a fact that last year New Zealanders consumed no less than 195,000lb of butter-fat, not in drinking milk, but in eating ice-creams. Of course, during the summer months the request, "I want an ice-cream, please," is made over the counters thousands of times daily, and a very healthful article of diet is an ice-cream if it is properly made. Pound for pound, it contains much more nourishment than meat, and it has the great advantage in the fact that amongst its ingredients are none that are indigestible. The ice-creams and other delicacies made by Frozen Products, Ltd., are very well known to the public, but consumers would be vastly more interested in them did they know all that goes on in the new factory in Tennyson Street. Here has been installed the very latest machinery, and it is quite a revelation to see the latest scientific methods used in the manufacture of ice-creams and similar products. The ingredients are few - cream, milk, sugar, and various flavourings - and it is a sine qua non with Frozen Products, Ltd., that these ingredients shall be of the highest quality it is possible to obtain. All the containers and machinery are kept scrupulously clean, so that the finished article is pure and wholesome. Great 500-gallon mixing tanks discharge their contents through homogenising machines which ensure that all particles are thoroughly broken up, and from these the mixture goes into the freezers. - Museum of New Zealand Te Papa Tongarewa, C.003078. As required, it is drawn off for its final appearance as ice-cream, Eskimo Pie, or some other luscious dainty. One of the most interesting bits at machinery in this up-to-date factory is that which, with almost supernatural uncanniness, takes blocks of the frozen mixture, dips them into liquid chocolate, and neatly wraps them, to be subsequently consumed as Eskimo Pie. 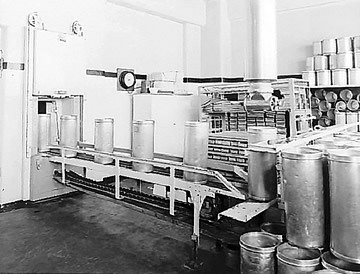 cans on conveyor into hardening feezer, 1930s. - Museum of New Zealand Te Papa Tongarewa, C.003075. The whole factory abounds with labour-saving machinery, obviating handling of the products. Naturally, ice has to be manufactured in large quantities, seeing that 12 to 13 tons a day are used on the premises, in addition to the vast quantity which is sent out for use in housewives' coolers. A 32-ton ice tank does this job most efficiently, and the store chambers for its output is a pleasant place to be in on a hot summer day. Four cool-stores can house and keep in good condition 50 to 60 thousand cases of fruit, for fresh fruit is essential for the pure flavourings used. Then there are rooms where cabinets are manufactured for use in the home, Frozen Products, Ltd supplying ice daily, cut into convenient blocks for use in them. Last, but not least, this most interesting factory contains the testing laboratories, which ensure that all ingredients and products reach the very highest possible standard of purity. Frozen Products, Ltd., are to be congratulated upon their enterprise in the erection and equipment of a factory which is probably second to none. Frosty Jack and Eskimo Pie advertisement, Evening Post, 19 February 1931. During the 1940s, free Eskimo Pie's or Frosty Jack Rainbow Bars were offered to children during Saturday afternoon matinees at the New Time Theatre (cinema) in Cuba St., Wellington. 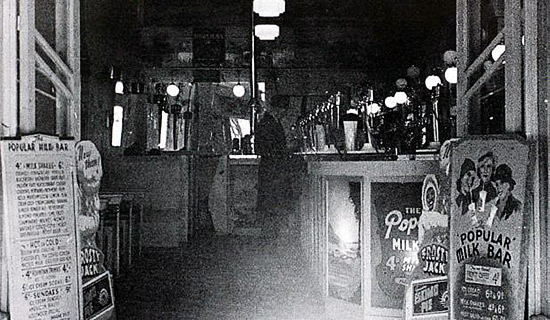 Frosty Jack advertisement, Evening Post, 2 November 1942. Frozen Products took over Meadow Gold Ice Cream (an amalgamation of Auckland ice cream companies Snowflake and Oasis) in 1951, Clarke's Ice Cream of Petone in the early '60s (changing it to Frosty Jack brand ), and by 1963, Frosty Jack had also taken over the Wise's Ice Cream business and factory in Gisborne, converting it to Frosty Jack. In 1964 Frozen Products Ltd. announced that it had made a heavy loss, and in 1965, the company was sold to Christchurch-based frozen foods business Fropax (N.Z.) Ltd., part of the Vestey Group (UK-based meat processors, and Blue Star Line shipping). Fropax introduced the Frosty Jack brand to the South Island that year, but sold the Palmerston North and Papatoetoe factories on to Unilever in 1967. At this point the Frosty Jack brand disappeared, as Unilever introduced its own brand, Wall's. 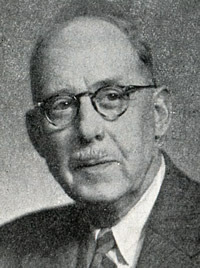 Mr W. Arthur Fisher, an American engineer, came to New Zealand in 1923 with fellow American Capt. C.B. Colby, as the Australasian controllers for the Eskimo Pie franchise. The Eskimo Pie, a chocolate-coated ice cream bar and a huge success in America, had been patented by the Eskimo Pie Corporation in 1922 and licensed to ice cream manufacturers around the world. This was seen as a great business opportunity and a group of Wellington investors was assembled to form a company to take up a license. Frozen Products, Ltd., was registered as a private company in July 1924, and the Evening Post of 31 July reported the new company as having has a capital of £6000, comprising 6000 shares of £l each, it's object being "To manufacture, sell, and distribute as wholesalers and retailers the confection known as "Eskimo Pie", ice cream, and any other similar class of goods, and general incidental." Fisher became General Manager and a factory was built. The original premises were at 210 Vivian Street, central Wellington. Frosty Jack ice cream and Eskimo Pies were on the market by December 1924. Frosty Jack advertisement, Evening Post, December 1925. On 22 July 1927 Fisher hosted the inaugural meeting of ice cream companies to discuss setting up an association at the Frozen Products' Vivian St. offices. One of the main issues the industry faced was the "Police Offences Act, 1924", and its restrictions on Sunday trading. Fisher is considered the founder of the New Zealand Ice Cream Manufacturers' Association. That same year, Fisher established and became Managing Director of W. Arthur Fisher Ltd., a major importer and supplier of ice cream machinery and supplies which still operates today. Photo: Ice cream factory exterior: Frosty Jack - Frozen Products Limited, showing the cool store and an icecream van parked nearby, 1930s. Photographer KE Niven. Museum of New Zealand Te Papa Tongarewa, C.003077. The Frosty Jack factory building at 25-29 Tennyson St, Wellington, still stands, now used for retail space and apartments. 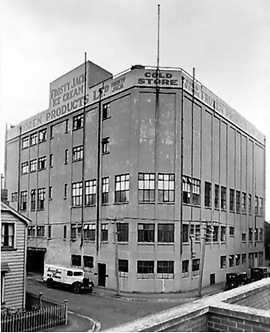 The Wellington plant later moved to 8 Peel St., Petone, and a second Frosty Jack factory was opened in Palmerston North. 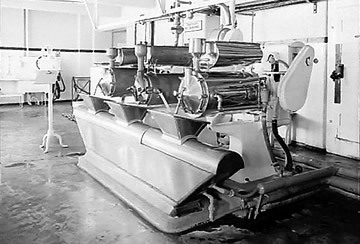 Frozen Products Ltd also purchased Meadow Gold Ice Cream Ltd in Papatoetoe, Auckland, and by 1963 operated a factory in Gisborne. Frozen Products Ltd was sold to the Vesty family (UK-based multinational frozen meat business and Blue Star Shipping Line) around 1966. They in turn sold the Palmerston North and Papatoetoe factories to Unilever around 1967, who dropped the Frosty Jack and Meadow Gold brands to produce Wall's ice cream.